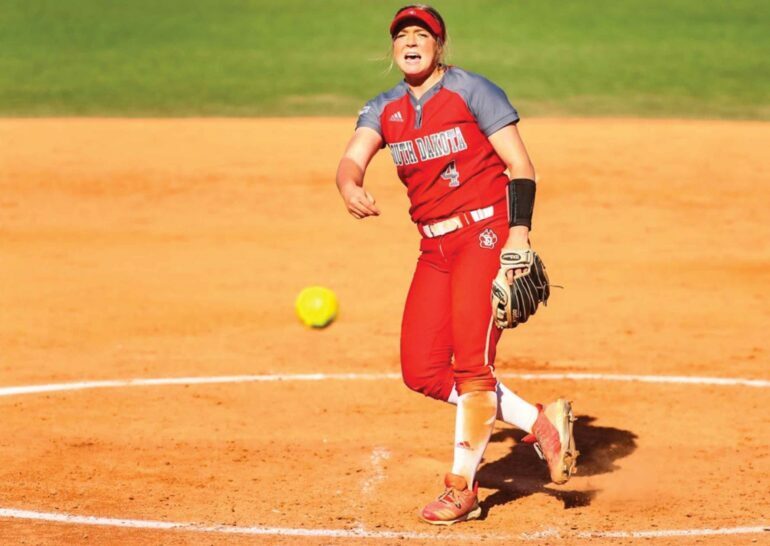 USD softball went 1-3 at the Mercer Classic in Macon, Georgia March 15-16. The Coyotes lost to Connecticut and Ball State on Friday and split games Saturday against Connecticut and Cleveland State. Connecticut jumped to a 2-0 lead in the second inning and added five runs in the fourth inning. The Huskies won the game 8-0 after five innings. In the second game of the day Friday, Ball State jumped out to a 4-1 lead. Third baseman Lauren Wobken hit a three-run homer in the fourth inning to tie the game. Ball State answered with three runs in the top of the fifth and sixth innings to win 10-4. Saturday, UConn opened with five runs in the first two innings in route to a 7-0 victory over the Coyotes. Husky pitcher Marybeth Olson pitched against USD in both games between the two, shutting out the Coyotes both times. USD got back in the win column later that evening with a 9-0 win over Cleveland State. Lauren Eamiguel hit her third homer of the season in the third inning. In the fourth, Coyotes Ashtyn Blakeman and Jessica Rogers hit back-to-back homers. It was Rogers third home run and Blakeman’s first as a Coyote. Dustie Durham pitched a two-hit shutout. The game was her second shutout and fifth complete game of the season. USD (17-15) has matched last season’s win total before reaching conference play. The Coyotes open conference action at Western Illinois this weekend. They play a double-header March 23 starting at noon and a single game March 24 starting at 11 a.m. After those three games the Coyotes play one game at Creighton before playing at home. The Coyotes have yet to have a home game this season. Their first is March 30 against Purdue-Fort Wayne in a double-header.